The Pennsylvania factory fabricates the final element to a standout Manhattan condo designed by Zaha Hadid. 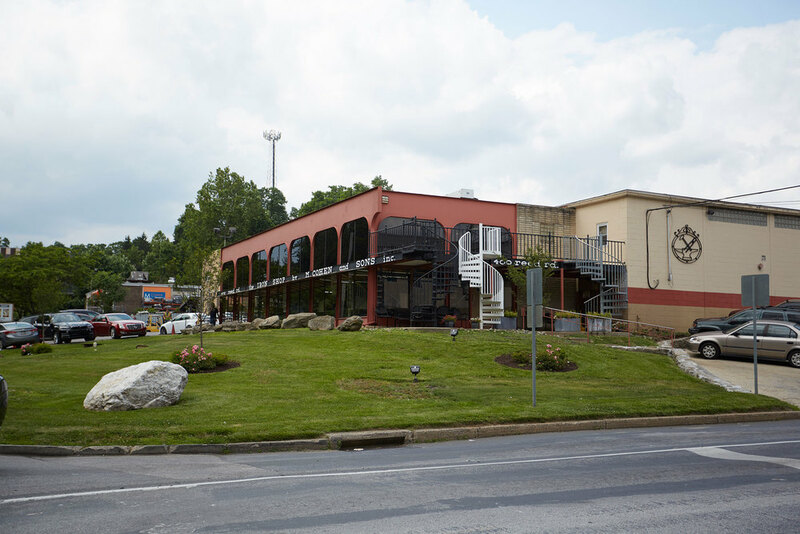 The M. Cohen and Sons showroom in Broomall, Pennsylvania. 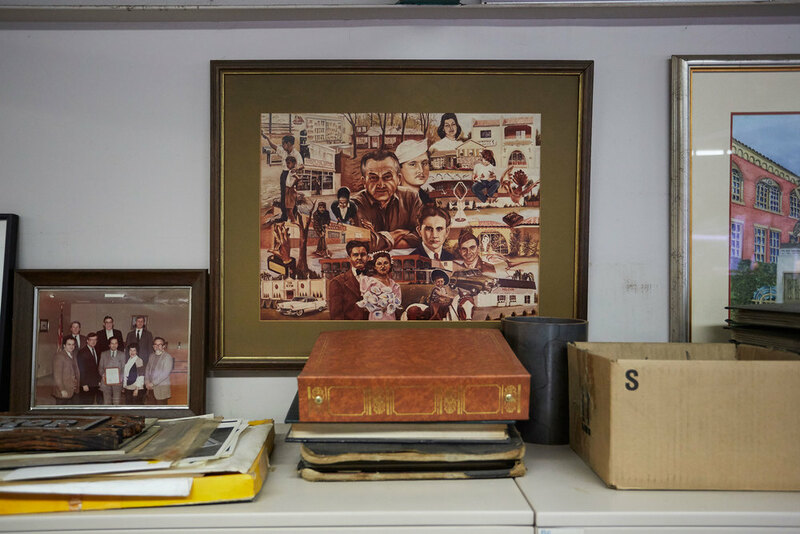 Mementos inside the family-run office. The mock up model presented to Related Companies for the 520 West 28th Street project. “It was left between us and an overseas fabricator,” says Cohen. “They showed up with a little piece of paper. I hesitate to say we won [the business],” he jokes. 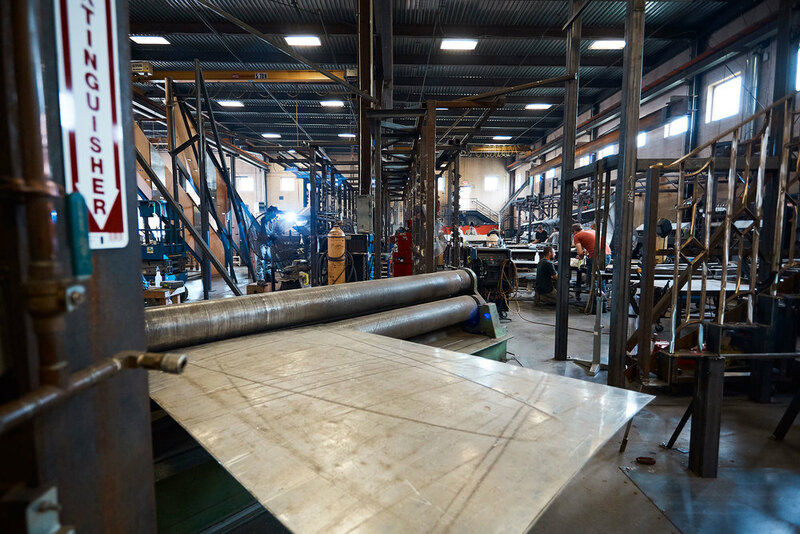 Most panels start as 5-by-10-foot sheets of stainless steel that are then placed on a laser-cutting machine. A look inside the factory where metal is bent and welded to form panels. An individual workspace in the factory, where most things are still done as a joint effort between man and machine. A freshly welded piece of the exterior. Sparks fly as pieces are shaped in the factory. Each unit is suspended on scaffolding-like structures (in order to mimic how they will hang) while hydrolics coax the metal to take on the proper curvature. Each piece is torched to the point of melting, soldering the edges together. “You want metal to speak for itself,” says Cohen. The hand polishing on the condo’s panels allows them to do just that, though agreeing on a treatment with Hadid’s team wasn’t an easy task. “After almost two years, they went back to the finish we recommended on Day One,” he says. 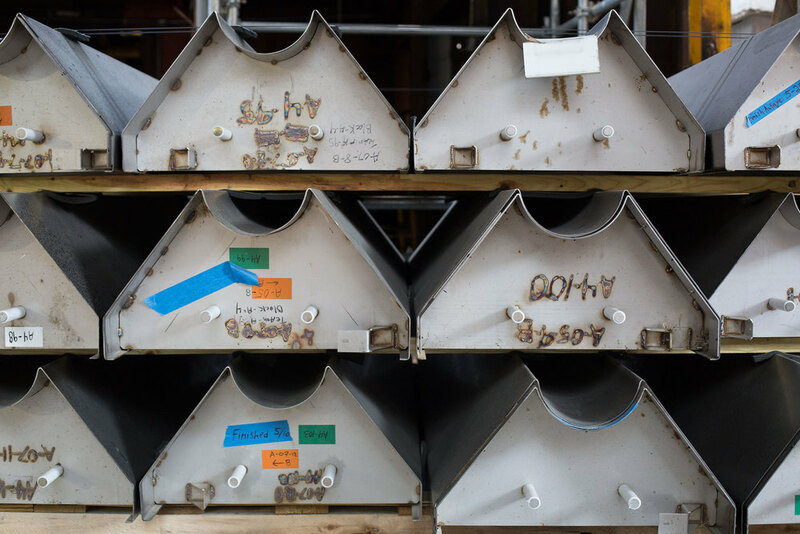 After being polished and treated with an acid mixture, each unit is marked, catalogued, and shipped to New York where it will be affixed to the building’s exterior. Complete pieces stamped with their individual markings. In New York, the pieces will be affixed to the exterior via a hooking system. “The individual handcrafted sculptural panels form the design’s two signature elements—curved and chevron windows—which allow the building’s shape to be created from a single line,” says Gushee. Panels on 520 West 28th Street, which will be completed in 2017. The finishing pieces to the late Zaha Hadid’s only New York building sit inside an unremarkable factory in a western suburb of Philadelphia. The property’s curvy stainless steel facade is in the hands of metal fabricator M. Cohen and Sons, a business whose name may not be as recognizable as the dame architect’s, but its breadth of work is impressive in its own right. There’s the gold-plated, climate-controlled encasement for Damien Hirst’s gilded wooly mammoth that sits near the Faena Hotel pool in Miami, or the focal point staircases at the National Museum of Jewish American History and Dior’s New York flagship. The five-story LED wall at Burberry in Chicago? That was them, too. If an architect is the head coach, the company is the quarterback, receiver, and defensive line, executing plays—in this case, turning concepts and dimunitive models into metal cynosures. Currently, Hadid’s vision for a sinuous silver exterior is being engineered, cut, and welded in the small-town company’s Pennsylvania workshop. It may not have the same artistic renown as conceiving an architectural paragon, but there, metal is a medium. “You have to understand how we feel about it,” says Allen Cohen, the president and third-generation successor. “For us, metal is alive.” By us, he is referring to the 300 employees at the family-run operation founded by his grandfather, Max Cohen, in 1931. A Russian immigrant, Max started his own ironworks during the Great Depression after being laid off from master blacksmith Samuel Yellin. Over the years, various small jobs and repairs turned into local contracts. Then, in the ’60s, Allen’s father and uncle put a small ad to make spiral staircases in the newspaper. “We’d get 20 to 30 envelopes a day with cash and checks,” he says. 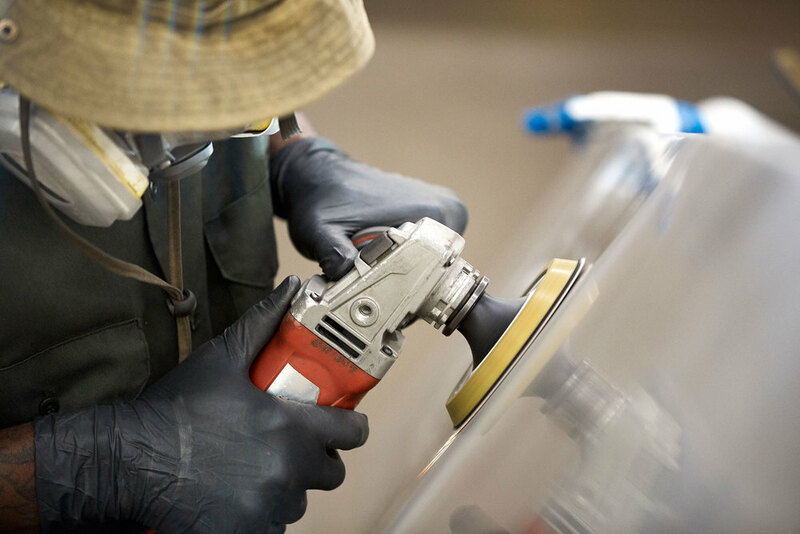 “That grew into a $20 million business practically overnight.” That financial infusion bolstered the custom fabrication arm that the company has become known for. It now accounts for the bulk of the business—and the majority of the challenges.